per day came through town. The economy of the area has been based on ranching, farming, uranium, oil, and gas. Location. 28° 53.079′ N, 97° 53.886′ W. Marker is in Karnes City, Texas, in Karnes County. Marker is at the intersection of East Calvert (Business U.S. 181) and South Esplanade Street, on the right when traveling east on East Calvert. Touch for map. 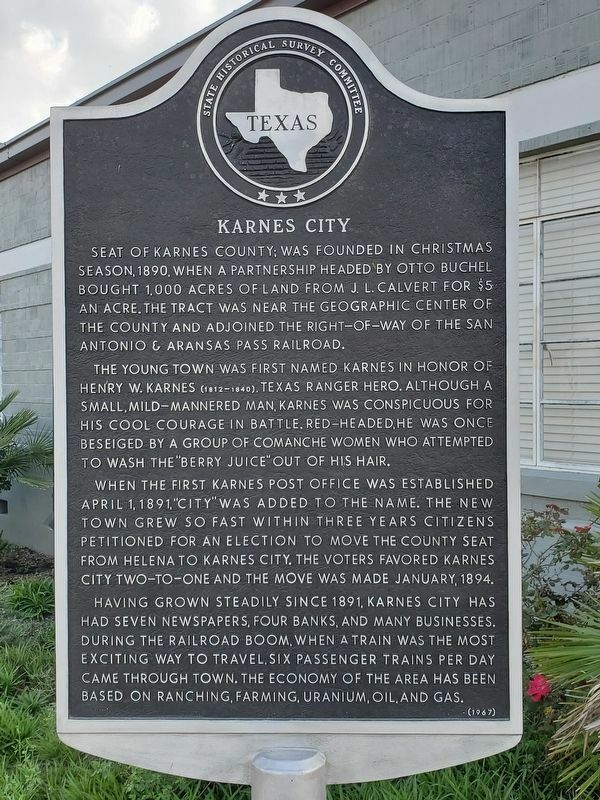 Marker is located in front of the Karnes City City Hall. 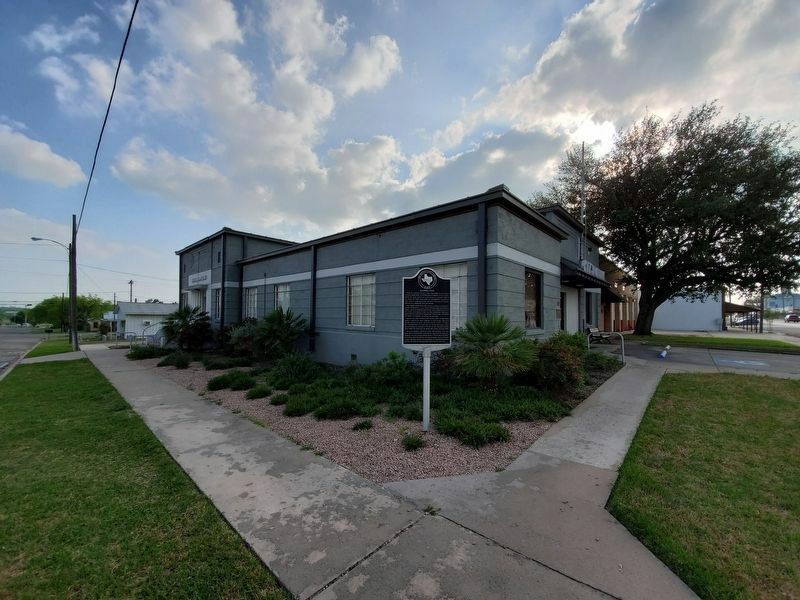 Marker is at or near this postal address: 314 East Calvert, Karnes City TX 78118, United States of America. Touch for directions. Other nearby markers. At least 8 other markers are within 5 miles of this marker, measured as the crow flies. Karnes County (approx. 0.2 miles away); Karnes County Courthouse (approx. 0.2 miles away); St. Joseph's School (approx. 5 miles away); Immaculate Conception Church (approx. 5 miles away); Town of Panna Maria (approx. 5 miles away); Panna Maria, Texas (approx. 5 miles away); First Store in Panna Maria (approx. 5 miles away); Pilarczyk Store (approx. 5 miles away). Touch for a list and map of all markers in Karnes City. More. Search the internet for Karnes City. Credits. This page was last revised on April 9, 2019. This page originally submitted on April 9, 2019, by Brian Anderson of Kingwood, Texas. This page has been viewed 79 times since then. Photos: 1, 2. submitted on April 9, 2019, by Brian Anderson of Kingwood, Texas.